It was to make tea, because we drank tonnes of it at home! My sweet mother taught me how to make tea and taught me most of the other dishes that I can prepare. I totally love cooking; it’s very therapeutic and allows me to explore my creativity. Watching those I have cooked for enjoying the meal, it makes all the effort worth it. Preparation, the cutting the chopping and the peeling are very boring and tedious though. Hmmm I can’t remember the first thing I ever cooked for him, it must have been when we were dating, and it must have worked since he proposed (^_^) He loves it when I cook him chicken, dry fried goat meat or lasagne. My mother raised us to be comfortable in the Kitchen, so I wasn’t nervous about cooking for him once I was his wife, it’s going pretty well, I think, but you’d have to ask him his honest opinion. Since I got married my biggest adjustment has been planning what to cook every day and ensuring the kitchen is stocked. We did a lot of takeout in the first few months as I almost always hadn’t prepared myself to answer his question “what’s for dinner?” The other is he gets bored easily with the same meal and eating the same meal twice in a day, which is a great challenge to my creativity and learning new recipes. I now have a daily meal planner which works in theory, in practise I cook whatever is in the kitchen and try to vary it often to avoid monotony. I get most of my ideas for meals from friends and the internet. My mum is a pretty great cook and she cooked majority of our meals growing up, so when I got married, I automatically became what I saw growing up. My dad always had a huge mountain of ugali for supper, so the first ugali I cooked for my sweetheart, I served him a similar mountain, and he was so shocked and asked me “are we were expecting guests? !” LOL! So I have learnt that my husband’s taste is different and he is quite explorative, allowing me to try out new recipes, some totally backfire and others are a hit. I am more health conscious than most people, but I’m not extreme. We eat more natural foods and less junk. I have grown a few vegetables and try to ensure we have plenty of greens for each meal. I try to add variety in the meals and we alternate red meat, white meat and a vegetarian meal. I cook with little oil and I use pure sunflower oil to cook. When I was growing up the favourite of the house was chapatti. The favourite in my house is Lasagne, it’s also my favourite to make. Mainly because my husband always beams when he finds that I cooked it for dinner. 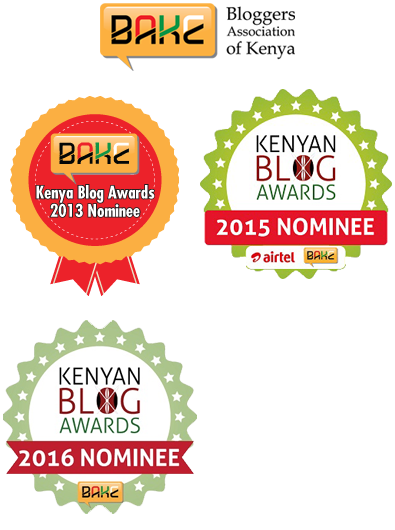 The most frequent requests that I get are for cake, ugali and beef, chips. What is the most useful gadget in your kitchen and why? 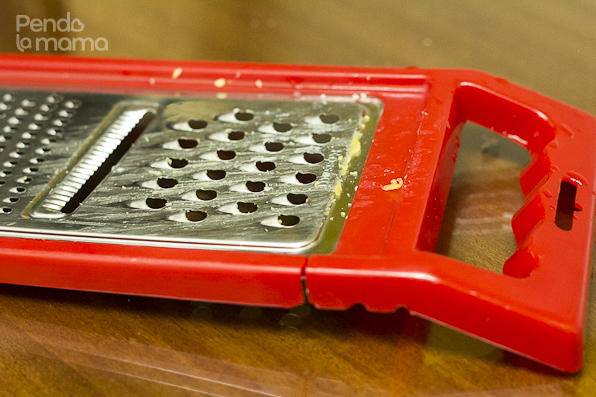 The grater, as I grate garlic, cheese, onions, it’s quite a lifesaver. What is the most unused gadget in your kitchen? The food processor, which apparently has a juicer that I’m yet to use. There’s also a rice cooker that I’ve never used in 4 years (smiling sheepishly). Home is an environment of joy, happiness, forgiveness and acceptance, home is an atmosphere that cannot be created by décor but is a reflection of the spirit of the family, that’s what home is for me. A sense of humour makes lighter, so laugh a lot, in the kitchen, at the backfires and successes, that’s the best ingredient to have for all meals. Ati ‘Are we expecting guests?’ LOL!! As a friend of Melissa wa Declan (this name makes me happy) I can atest to the good cooking skills. This is not another case of kibaya cha jitembeza.